In response to a proposed national study by Health Canada on wind turbine sound and human health, the American, Australian, Canadian, European, Global and United Kingdom wind energy industry associations point to seventeen reviews of independent research and evidence that all conclude wind is not harmful to human health. According to the wind energy industry associations, wind energy is regarded as one of the safest forms of electricity generation. 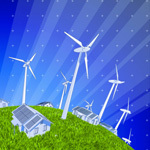 At the end of 2011 there was 237,669 MW of installed wind energy capacity around the world. 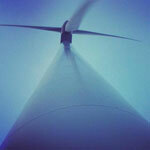 Wind energy is a leading source of new electricity globally and is operating in more than 89 countries. As the world’s media attention turned this week to the Summer Olympics in London, a somewhat downplayed story of astonishing implications was emerging from the world’s biggest island: almost 97% of Greenland’s ice sheet experienced melting during early to mid-July. 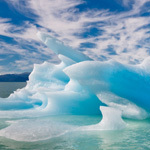 In a normal summer period, according to the National Aeronautics and Space Administration (NASA), only about half of the massive ice sheet experiences thawing periods. In a press release, NASA officials noted that for several days this month Greenland’s surface ice cover melted over a larger area than at any time in more than 30 years of satellite observations. Investors and potential investors in onshore wind energy in the UK can breathe a sigh of relief today after the government agreed to cut subsidies by 10% from April 2013, and not 25% as was previously feared. “Renewable energy will create a multibillion-pound boom for the British economy, driving growth and supporting jobs across the country. The support we’re setting out today will unlock investment decisions, help ensure that rapid growth in renewable energy continues and show the key role of renewables for our energy security”, Ed Davey, UK Energy Secretary, said. Wind power will be the second biggest contributor to global renewable electricity generation by 2017, according to a ground-breaking report by the International Energy Agency (IEA). 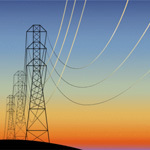 Despite economic uncertainties in many countries, global power generation from renewable sources including wind will increase by more than 40% to almost 6,400 terawatt hours (TWh) – roughly the equivalent of one-and-a-half times current electricity production in the US, predicts the Medium-Term Renewable Energy Market Report 2012. This is the first time the IEA has devoted a medium-term report to renewable power sources and the agency says this is “a recognition of the dynamic and increasing role of renewable energy in the global power mix”. It forecasts that renewable electricity generation will expand by 1,840 TWh between 2011 and 2017, almost 60% above the 1 160 TWh growth registered between 2005 and 2011. 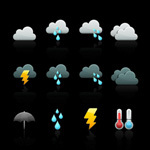 In this excerpt, from the National Resources Defense Council Staff blog, Susan Casey-Lefkowitz ponders the future of climate change and the extreme weather it could bring in the future. With 2012 being another year of violent storms, wildfires, floods and extreme heat, we can argue whether this is a preview or the main feature, but no one wants to see the full climate change show. Some still debate whether a specific extreme weather event is due to climate change, but what is clear is that these kinds of events are our future if we don’t change direction. Last week, my family and millions of others lost electricity for days during a period of 100+ degree temperatures. The past week’s extreme heat was coupled with power outages and damage to homes along a 700 mile swath of destruction from a band of “super derecho” violent thunderstorms that cut trees in half. People in the D.C. region are now seriously debating spending tens of billions of dollars on putting power lines underground. That is one of many un-anticipated costs of climate change.